If you need a check-up, Cader Dental Practice, are extremely experienced in looking after the teeth of both adults and children. We have a modern surgery, with fully qualified dental technicians and hygienists and undertake all types of dental work. We spend time with you to ensure that we can offer you the very latest, personal care at a time that suits you. 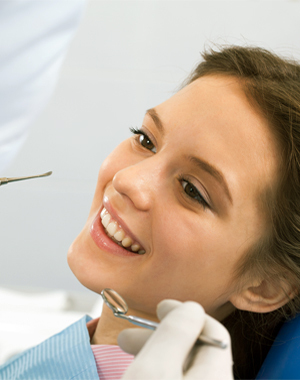 Whatever your needs may be, we can ensure that your oral health is the best that it can be. If you haven’t been to the dentist for a while then why not call us and arrange an initial consultation? Our state of the art CBCT scanner allows our clinicians to see all the information they need to expertly plan your treatment. This low dose radiation scan provides a 3D image of your bone and surrounding structures instantly. We use this advanced technology so that we can be sure your implant/s will be placed in exactly the right position with out encroaching upon nearby nerves and structures. 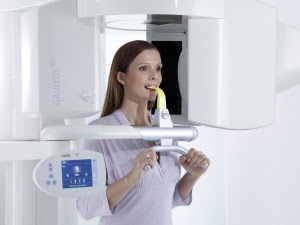 We are one of the only implant centre’s in the UK to have a CBCT scanner onsite and we also provide CT scans for many other dental practices around North West Wales.